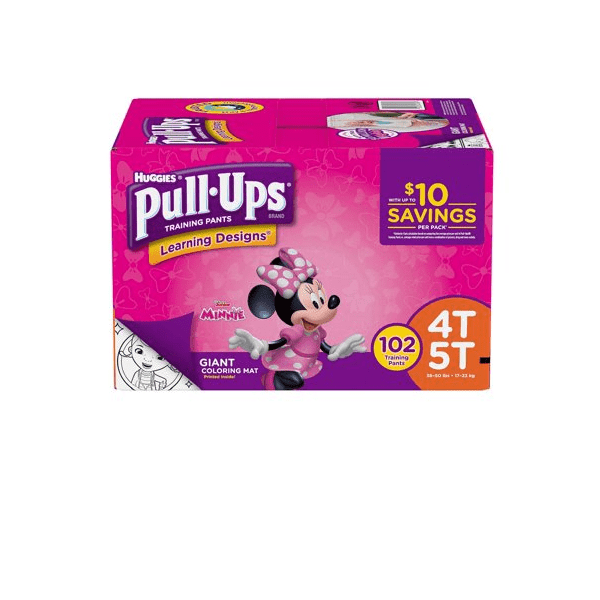 With a new leg fit for all-around protection, Pull-Ups Learning Designs Training Pants help teach toddlers potty training and offer reliable protection where they need it most. 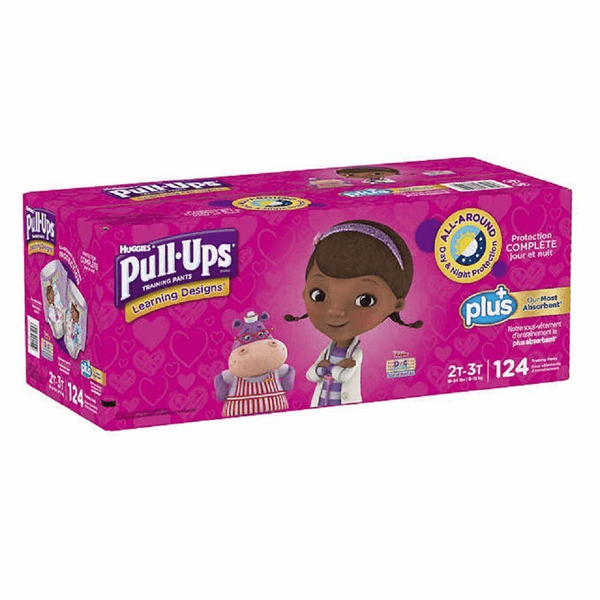 Sides are stretchy for easy up and down, like underwear, to help kids learn how to put them on and take them offplus, easy-open sides mean quick and easy changes when you need it. 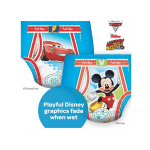 The zoned protection is where boys need it most for maximum absorbency. 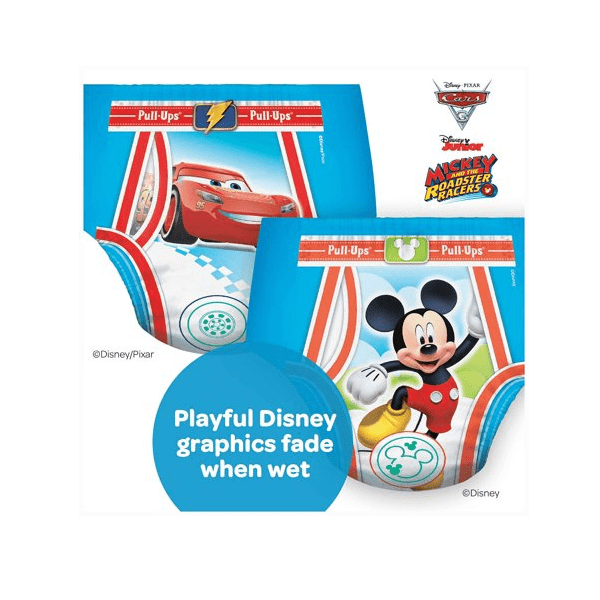 Pull-Ups Learning Designs feature fun, engaging Disney designs like Jake and the Never Land Pirates with wetness indicators that fade when wet to help your child learn to stay dry. 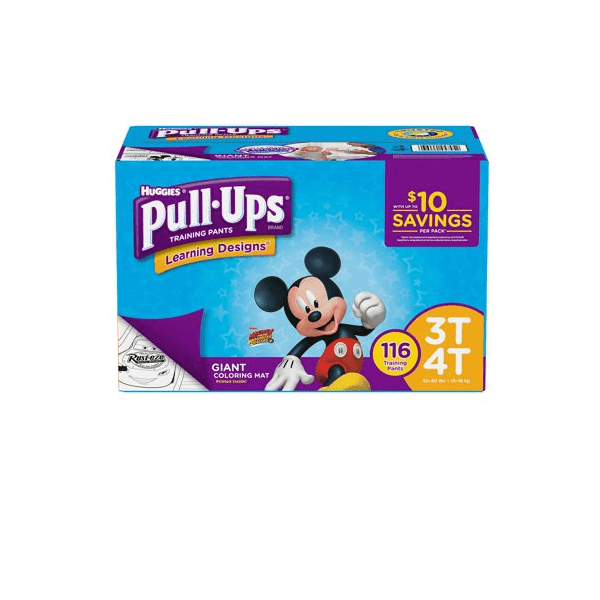 When your baby is ready to move on from diapers, help them continue learning with Pull-Ups Training Pants. Available in sizes 2T-3T (18-34 lbs. ), 3T-4T (32-40 lbs.) and 4T-5T (38-50 lbs.). Zoned protection for maximum absorbency where boys need it most.